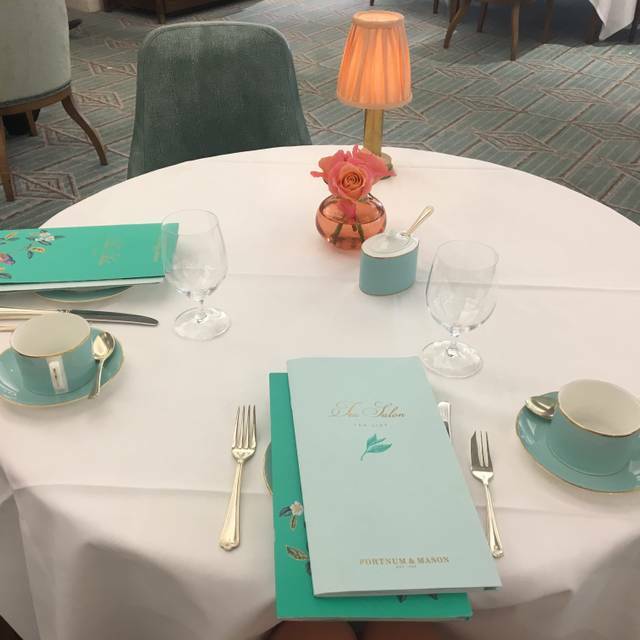 You must make bookings at least 5 minutes in advance of the time at Fortnum & Mason Diamond Jubilee Tea Salon. 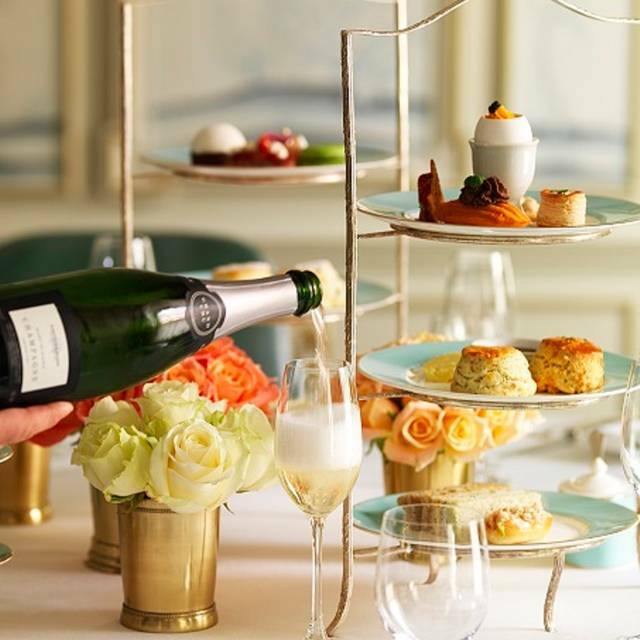 Fortnum & Mason has four venues for special occasions, from bespoke breakfast to business lunches, tea parties, cocktail parties and private suppers. The rooms are each remarkable, and offer a range of entertaining possibilities. Excellent service. A wonderful indulgence while in London. we booed a table for 4.30, had to wait 15 m to be seated. The cakes were fridge cold, the finger sandwiches were dry and we had to ask three times for our bill. Really poor experience. Everything got over my expectation. Tea, cakes were excellent, of course. They helped us to choose tea went with cakes very well. Moreover, while we were having the afternoon tea, there was a piano live which was amazing. nice experience...just expensive and the waitress was not very clear on what the options were. Did not think the scones were that fabulous. Also waited quite long when we requested extra sandwiches. 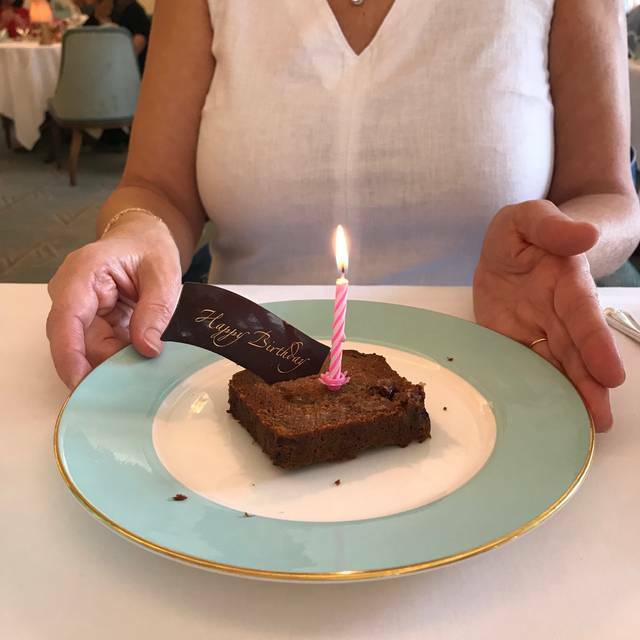 We had been sent a gift card from Fortnum's as had had horrid experience with a F&M Christmas Hamper which did not arrive, then did arrive with items missing & broken etc. Overall a really super experience and perfect way to take away bad taste of the hamper saga! We arrived early and the staff facilitated moving the reservation forward. Fantastic...and you don't have to be concerned with any dress code...! The problem fir me was that we had a 3.30 appointment but had to wait 20 minutes for our table. All the seats were taken so we had to stand around and wait! Food was ok but certainly not worth the money. this is my third time visiting the Diamond Jubilee Tea Hall - I love it and will keep brining different friend groups ! A little bit disappointing. We really were expecting to spend a special moment with exceptional food. But it wasn't really good, the ambiance music was terrible, same melody repeated 50 times during our one hour stay. However our waitress (Anna) was very nice. Fabulous food and excellent service! We had a fantastic visit on Saturday afternoon to round up a day of shopping and sightseeing. 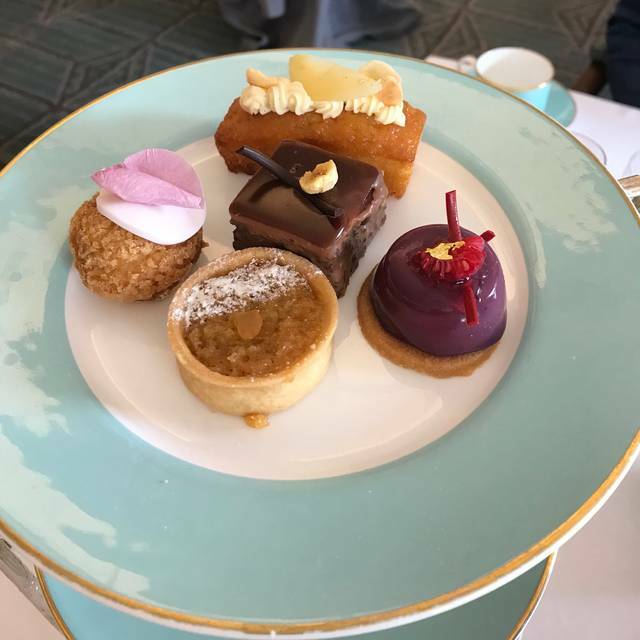 The choice of high teas was a real surprise so don't assume it's just about cakes alone! We were waited on by Ana who had one of the biggest smiles we've ever seen. Food was plentiful throughout our experience and they offered to box up the remaining items we couldn't manage... A wonderful experience and thank you! Service was too terrible, I have never gave such a low grade in any place but this time we felt so bad. The waitress never asked do we need more tea or food or water even the plates were empty. And every time we needed anything, we had to ask twice and waited for so long, every time. And no one asked us about the last part cake, and we were told to pack the food by ourselves. We don’t understand why the service here is that terrible, why we paid 14 pounds for self-service. I will never recommend this to any of my friends, this is my worst experience in London for 8 months. I go there relatively often and this time it was really disappointing. Me and my partner took my mom and sisters so I wanted it to be really nice. The food was a good as usual, the tea is great, but the service was really bad. They messed up my tea, then we add to ask several times the same things (sandwiches or tea refill, the bill, our cakes). Basically we were treated like we were annoying or poorly educated for asking for more (albeit extremely politely). If you don't want to give more food to people, don't make it an "eat as much as you want" principle. This salon was so lovely, stuff was especially kind. Also hope virit to there when i went to London!! An amazing experience. My wife and I will remember a number of experiences during our first trip to London, however this was certainly the highlight. 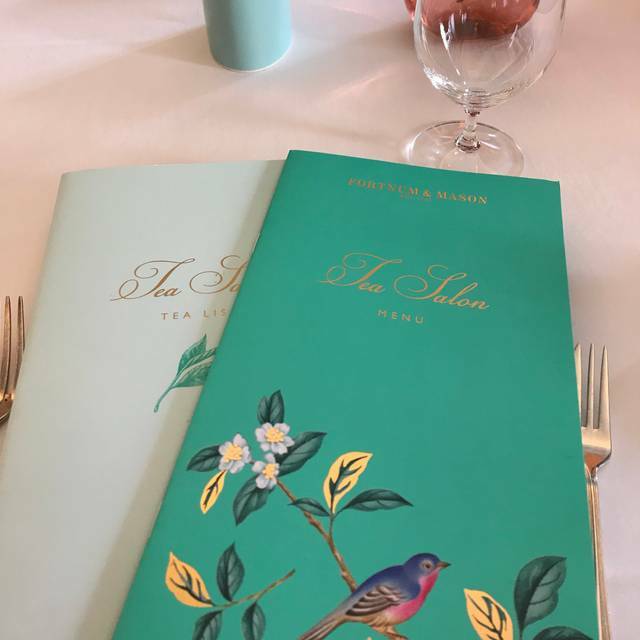 Impeccable service, delicious snacks and wonderful a selection of teas is what we we’re looking for, and Fortnum and Mason delivered beyond our expectations. Can’t wait to go back on our next trip. Visited for friends birthday celebration as she had enjoyed her previous visit. Our waitress was very pleasant, however, on this occasion the experience did not meet our expectations. The room temperature was quite cold and by the end of our visit we were all quite uncomfortable- we did mention this is to the waitress and weren’t the only customers that commented on Saturday it. Secondly, we waited in excess of 20 minutes for our tea pots to be refilled. This was despite chasing our request with several different members of staff. My only criticism is that, when the food was served, we were not informed we could have more if required, hence two people shared ten sandwich fingers, four small scones and five small cream cakes. After about an hour a waitress came to ask if we would like more sandwiches! From the moment I arrived and mentioned it was my 11 year old daughters the following day, only to be serenaded by the staff along with the grand piano playing happy birthday, it was a wonderful experience. Food services, everything was perfect. My daughter enjoyed every minute, and so did I. The service is terrible,the girl with red hair ignored us， she doesn't serve us if we doesn‘t call her，such as adding water and adding food.she asked the other customers how they feel many times without us. Her behavior makes us feel like she's ignoring us，even racisting us.we never coming back here . This is what a proper afternoon tea should be like. Very, very disappointing high tea in the salon. Huge room, no ambience - overcrowded with unsuspecting tourists. Rock hard scones. Inexperienced serving staff. Sorry, will not be returning. A 2pm tea time, the room didn't feel super crowded; got a beautiful table for 2 next to a window. A week later, we are still talking about the sandwiches! Bought some of the tea we sampled in the store downstairs. 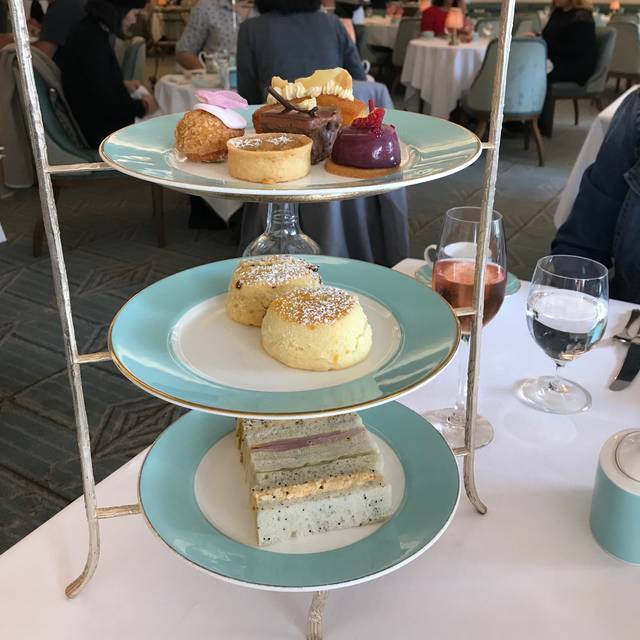 Our High Tea was absolutely divine and a highlight of our London trip. We wish we’d booked another one! We ordered the gluten free version and it was divine and made the day for two coeliac tea lovers! 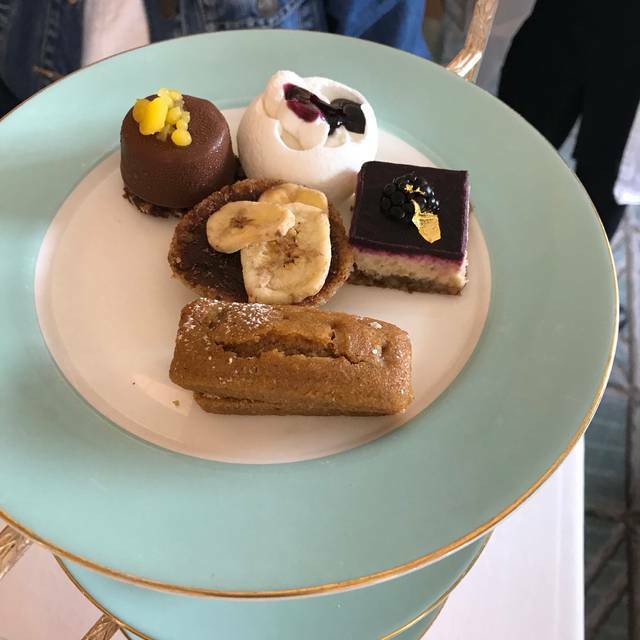 I highly recommend F and Ms High Tea experience. A wonderful experience. Great food in a beautiful setting. What made it extra special was the staff; friendly, warm and attentive. Well done! We went for my friend’s birthday and it was lovely. I only marked it down as it’s very expensive for I consider a normal afternoon tea. Superb in every way. 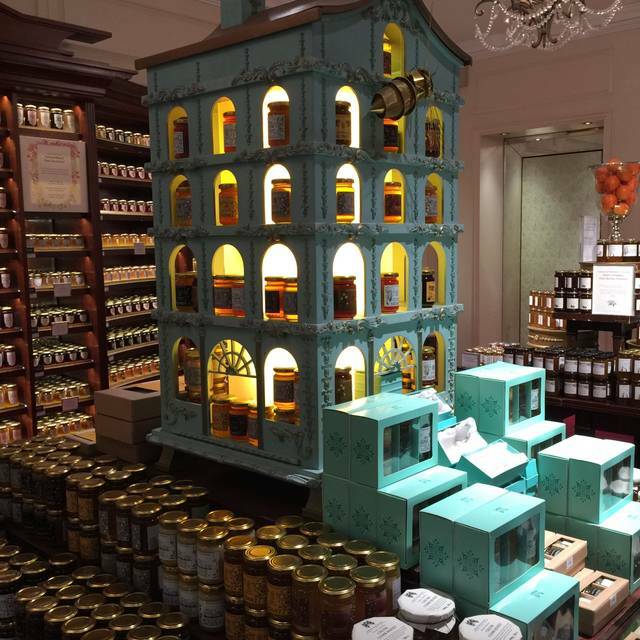 My daughter and I spent a very relaxing and enjoyable time in Fortnum and Mason's tea salon. Afternoon tea was delicious and staff were very attentive. Our experience began well, greeted pleasantly by the receptionist and treated excellently by the girl who took us to our table. Once there we were ignored for almost 15 minutes by the girl responsible for the tables in our area. Other guests arrived and had their orders taken. Eventually when she came to clear the table next to us we asked if she's take our order. She did that grudgingly making it plain that she wasn't happy to serve us. We'd been seated for almost 20 minutes before our food arrived. Halfway through the tea a waitress named "Bliss" took over and gave us the attention guests at F&M deserve. She was charming, caring and happy to engage with us. If it hadn't been for her we would have scored this as "poor"
Service very slow. All you can eat depends on how fast you are served. More than 30 minutes before our sandwiches were served. More than 30 more minutes before the crumpets and deserts were served. Barely got second order of my sandwich and our time was up. Very slow service. 2 sandwiches, 2 crumpets, 2 deserts and 2 orders of tea cost over 50 GBP. Bit expensive even for you. First time for High Tea in the Diamond Jubilee Room. My experience surpassed my expectations. Beautiful ambiance—delightful experience. It was exceptional. A great moment. Thank you. We will come back. It is de worst experience, the worst food and very expensive. Mi hija Kiara Celeste nos llevo y fue una bonita experiencia. Lo recomiendo. It was our first time and it was fantastic. Took mom for her 70th birthday! Atmosphere and service are excellent as was the tea. Petite fours were just so so. Sandwiches and scones were good. The lemon curd was to die for!!! Excellent choice for our first afternoon tea. 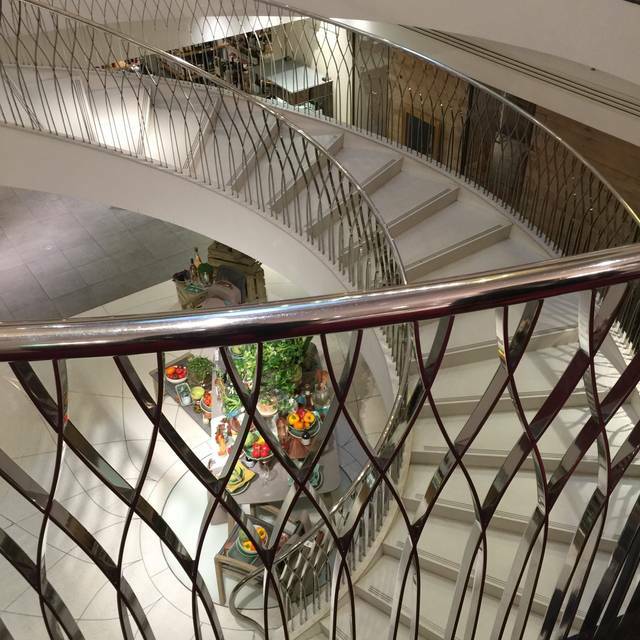 This was our second visit to Fortum & Mason for Tea at the Jubilee Tea Salon. The first time was a couple of years ago. So glad that we reserved this again. Absolutely as good as I remembered.